January 15, 2019 • 3281 × 3716 • Happy 2019! 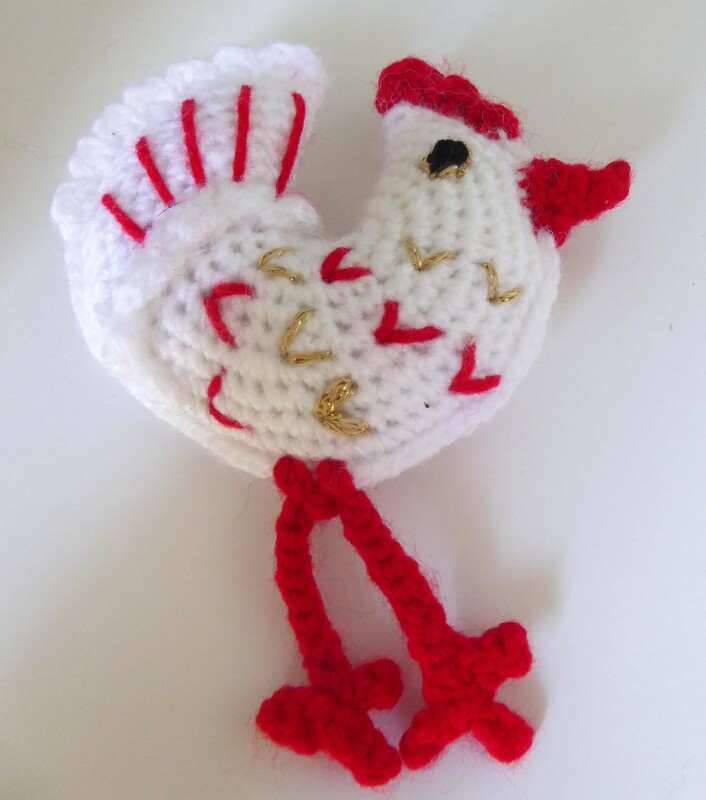 The chicken is made by starting with a standard amigurumi circle pattern, and overdoing the increases. You end up with a frilly circle. When you fold it in half you get a crescent – ideal as a birdy base.